Center Electric, Inc. operates out of a 15,000 square feet space in Tacoma, Washington. Since 1948, we have been the Pacific Northwest's premiere electric motor repair facility. 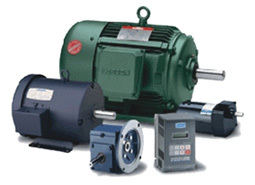 Equipped with a modern shop and a well-trained staff, we are capable of handling virtually any sized electric motor repair and we offer a complete line of new electric motors, controls, speed reducers, drives and more from today's leading brands. We work with customers throughout the Western United States and locally from Seattle to Centralia and Shelton to Packwood.